This Olive Oil and Apple Bundt Cake is the perfect dessert for your upcoming Holiday. The cake has grated apples in the batter, which makes the cake extra moist, and delectable. Olive Oil is added to make the cake healthier than the average dessert. You generally use two large apples, but sometimes you can use three small apples. If you think the batter is a bit thin, you can add a bit more flour to thicken it a bit. 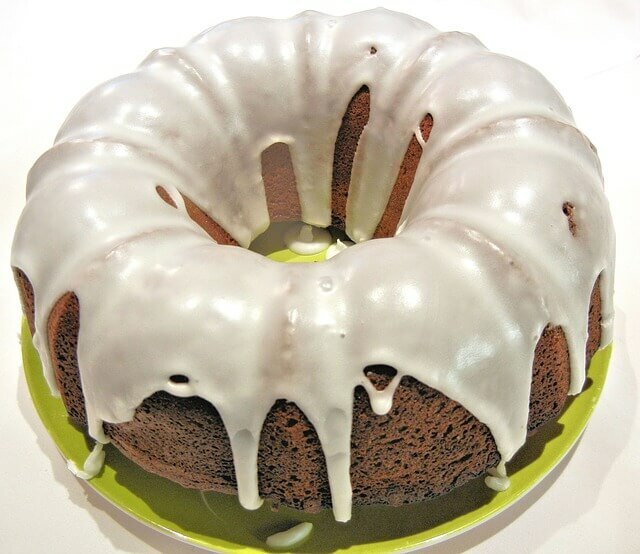 Bake into a bundt cake for presentation and drizzle with a topping such as caramelized chocolate. This olive oil and apple cocoa cake is the perfect sweet treat for the holidays or anytime you want to serve something heavenly. While it’s definitely still a dessert, this moist and fluffy cake is a bit healthier due to the cup of olive oil in place of butter. For a delicious and simple treat dust the cake with confectioners’ sugar, or add caramelized white chocolate for a more decadent dessert.